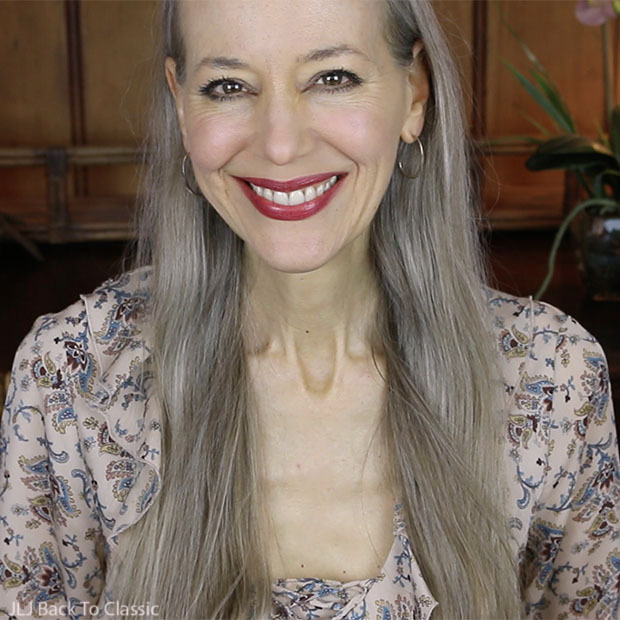 (ABOVE) Clothing, accessories, and home decor are among the many items featured in this post and video. 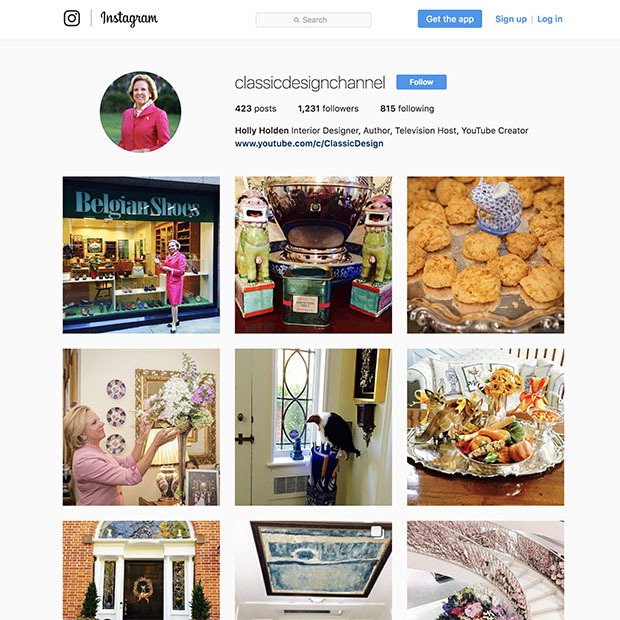 I am such a fan of interior designer and author Holly Holden and her YouTube channel and Instagram page. Her taste is impeccable. 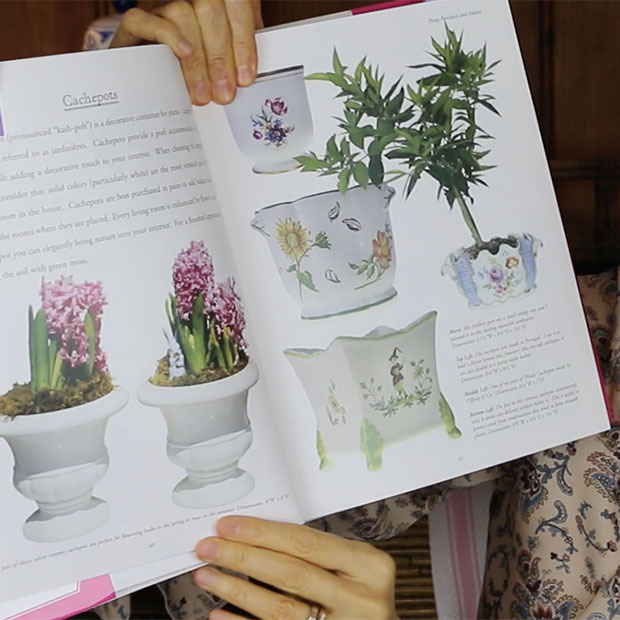 But, too, what made me instantly feel such a kinship with the woman in the videos and photographs is that she loves so many things that I do: classic dressing, classic interiors, decorating with flowers, pretty cachepots, whimsical Herend figurines, sterling silver picture frames and serving pieces, and so much more. 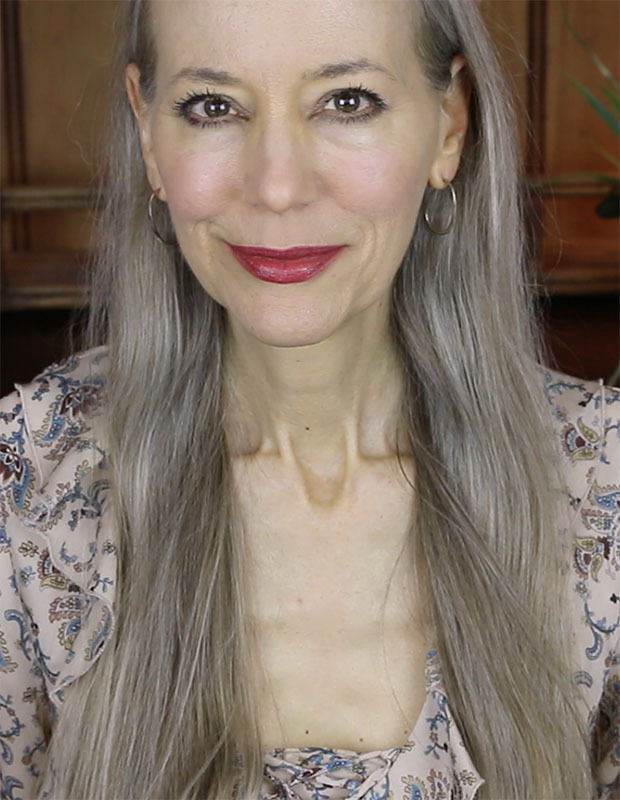 When she contacted me a few months ago to ask if she could send me her book, The Pretty and Proper Living Room, I was honored and, well, to be honest…intimidated. I am completely awe struck by Holly’s talent. 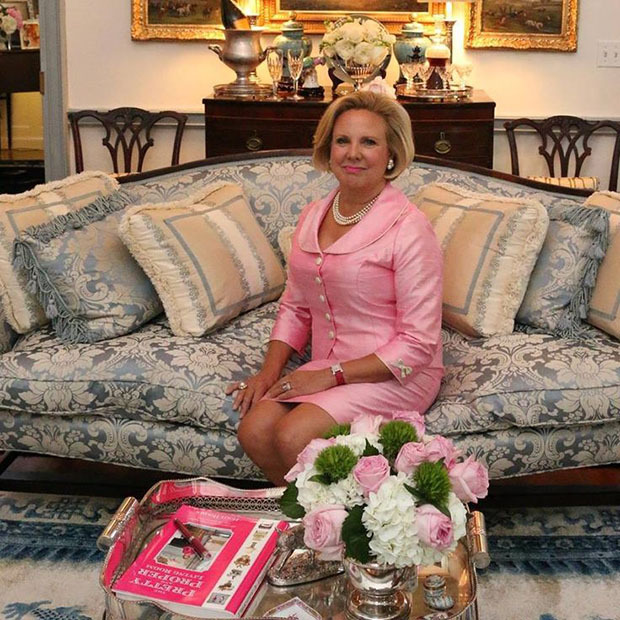 She knows so much about so much, and the way she puts furniture and decor together is so elegant and impressive that, I think in the back of my mind I had the preconception that her book might be intimidating, too. But my fears were mitigated as soon as I read the touching beginning of her Introduction. 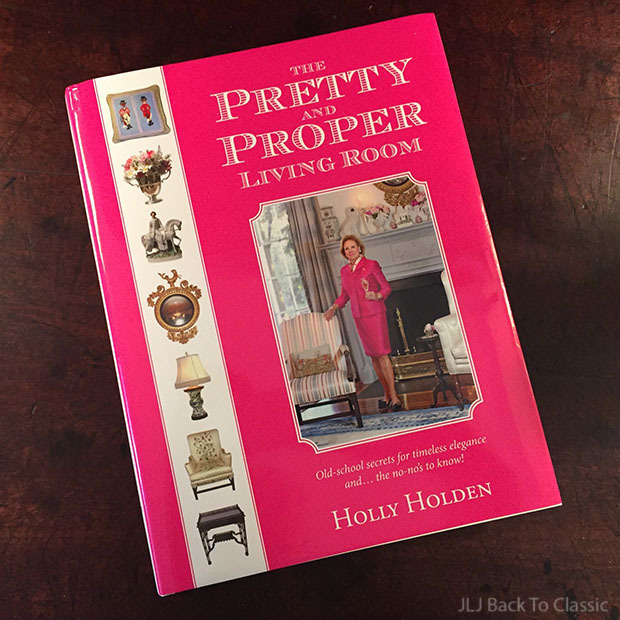 This was a love gift from Holly to her daughter, who “wanted a house just like the one she grew up in.” What’s more, Holly presents each subject in breezy, bite-size pieces of text–so I’m not overwhelmed–and with plenty of photographs. It is just enough to answer my questions and also entertain me. If I want to know more, I can always Google it! Although I don’t necessarily agree with all of Hollly’s “Forbidden Faux Pas”–she is against new pieces of furniture in a classic interior, for example–I do understand where she’s coming from. After all, Holly is a master. It’s her profession to create a room that’s the epitome of classic design perfection. I’m sure a trained eye can spot a reproduction immediately, and be put off. But for me, if I find a piece of furniture that I love but that’s new, I’m happy mixing it with my antique pieces–or perhaps even with all newer pieces. After all, I’m neither trying to make a perfect looking house nor is it my profession, I simply want to create a home that I love. That is exactly what Holly’s book helps readers do. Thank you so much, Holly! When the weather is still warm but the calendar says fall, bringing more black into my wardrobe helps me feel more like the season. Plus, black goes with anything, so it makes getting dressed easy. In this post, I have quite a few gorgeous classic black items, including pants, shoes, a top, and blazer. 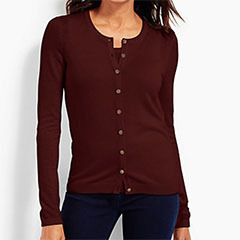 One of my favorite colors to pair with black in the fall is burgundy, and although the burgundy cardigan I show in this post is from last season, I found some gorgeous burgundy cardigans and matching tees and camisoles on line–and all Talbots items are on sale (for a limited time). 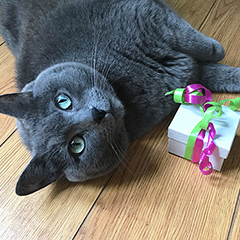 Plus, there is much more, including a sterling silver rounded box-link bracelet, a collection of pretty lit ginger jars, and an all-natural eyeshadow and lipstick. 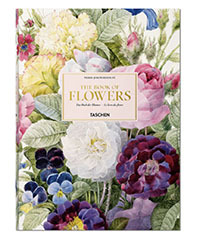 (ABOVE) The Pretty and Proper Living Room, hardcover, 378 color pages and 1,000 photographs. (BELOW) The book’s author and interior designer Holly Holden at her historic Federal house in Farmington, Connecticut, Fox Hall (circa 1803). 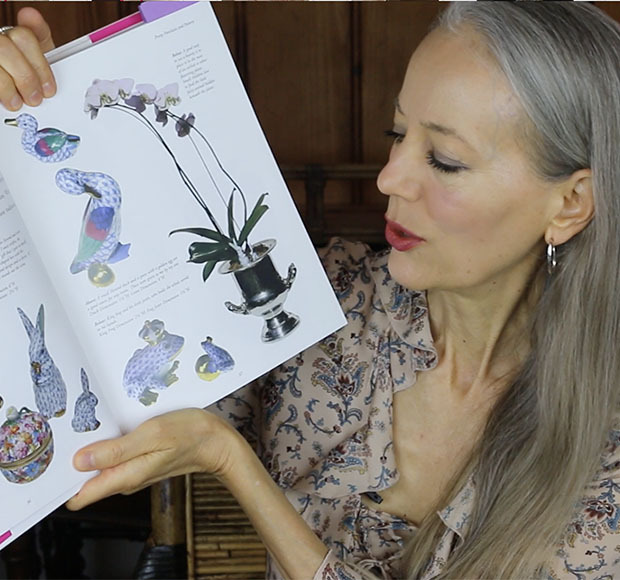 (ABOVE) Holly loves and collects Herend porcelain figurines, as shown here on one of the pages of her book The Pretty and Proper Living Room. 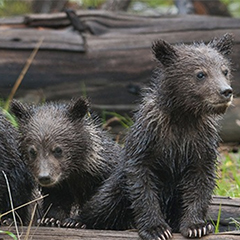 The animals are adorable and their colors are gorgeous. 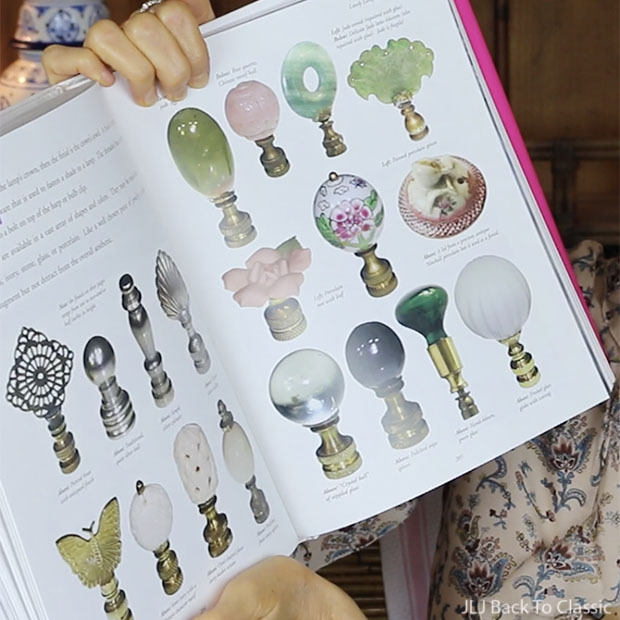 (ABOVE) Some of my favorite chapters in The Pretty and Proper Living Room are those on cachepots and (BELOW) lamp finials. 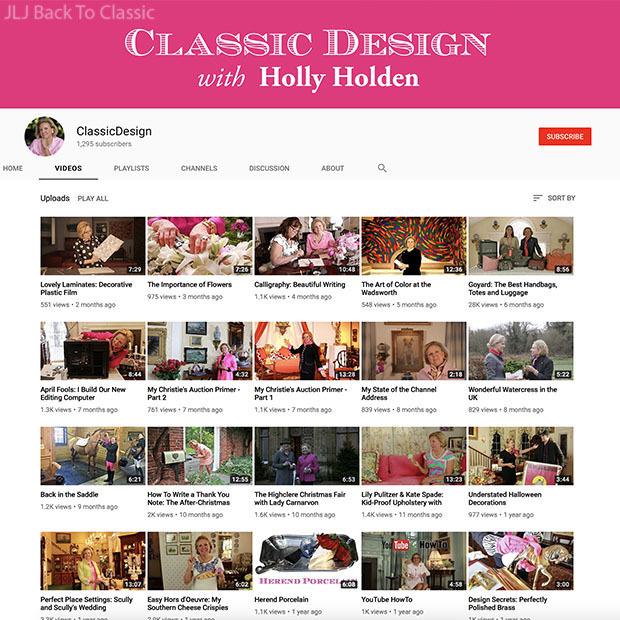 Holly Holden’s YouTube Channel (ABOVE) and Instagram page (BELOW) take followers into her beautiful home, offer home decorating and entertaining tips, and more. 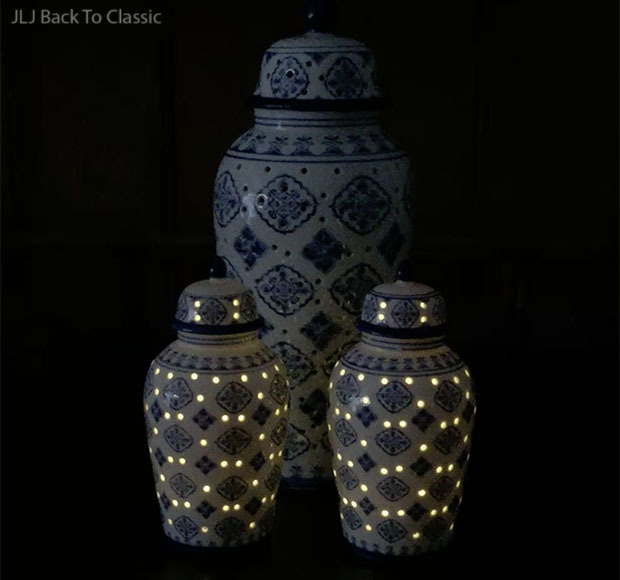 (ABOVE & BELOW) In the foreground, Set of 2 Lit Porcelain Ginger Jars, 7″ Blue and White and, in the background, 1 Porcelain Ginger Jar, 13.5″ Blue and White (Other Colors Available). Ginger jars originated in China, where they once transported such spices as ginger all over the world. These caught my attention because of the perforations, the blue and white color (I love blue and white porcelain! ), and the fact that they have a battery powdered light inside. The batteries are not included, so be sure you have some on hand. The 7″ pair requires two AA batteries, and the 13.5″ requires three C batteries. 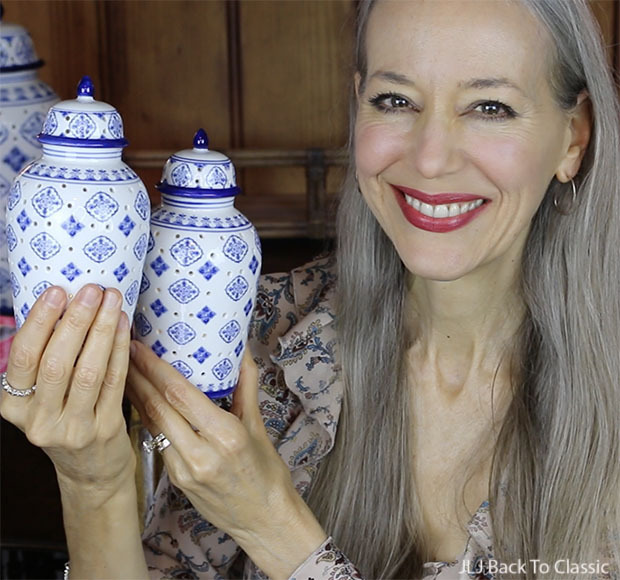 I have ginger jars all over our house–in our bedroom, the family room, even the kitchen. They’re such a pretty way to add color. (These come in 5 different colors.) Note: These are made to look like jars with lids, but the lid isn’t removable, due to the light inside. 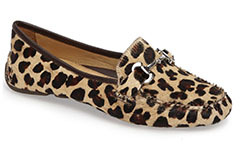 (ABOVE) Coach Driving Moccasins, Available in a LImited Number of Sizes (Similar Born, Land’s End, Patricia Green). More Driving Mocs and Loafers Here. These Coach mocs are only available in a few sizes (in several colors), so I searched on line and was able to find several similar black moccasins from other great companies. What I love about this style of flat is the soft leather (so comfortable), and the rubber heel protector. (It keeps the heel from getting soiled by a dirty car mat.) I wear mine with pants and shorts a lot, but they also look cute with a shorter skirt or culotte. (ABOVE) Coach Driving Moccasins, Available in a LImited Number of Sizes. (ABOVE) Land’s End Women’s Scallop Tumbled Leather Driving Moccasins, Black (Other Colors Available). 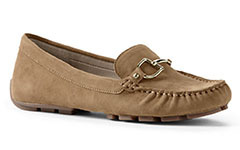 (ABOVE) Land’s End Women’s Buckle Suede Driving Moccasins, Vicuna (Other Colors Available). 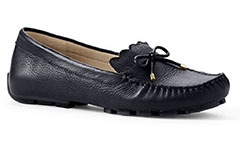 (ABOVE) Born Leather Driving Loafer, Black (More Driving Mocs and Loafers Here). (ABOVE) Patricia Green Haircalf Driving Moccasin. (More Driving Mocs and Loafers Here). (ABOVE) Tahari Black Slingback Pump (Similar Sam Edelman, Schutz, Naturalizer). If I could only have only one black pump in my closet it would be a slingback with a 2″-3″ heel. I love that hey leave the back of the heel bare, which I think is flirty and flattering, and also that the back is adjustable. It makes them so much more comfortable. Black pumps go with everything, so they can be worn with a variety of different outfits. (ABOVE) Sam Edelman Slingback Pump, Black (Other Colors Available). (ABOVE) Schutz Slingback Pump, Black (Other Color Available). 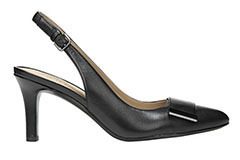 (ABOVE) Naturalizer Slingback Pump, Black (Other Colors Available). 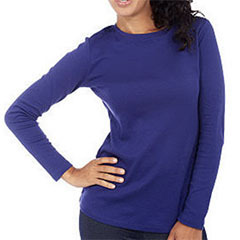 This tee is 100% cotton and is perfect for wearing alone on warmer days or with a puffer vest, sweater or jacket when the temperatures plummet I bought it in what they call navy (it has a little purple in it, which makes it a bright, happy version), black, and cream in size XXS (I typically wear an XS or Size 2 in other brands). It is a substantial weight, and a good quality cotton. I like that the length isn’t cropped, so it can easily be tucked into a skirt or pant and stay put. 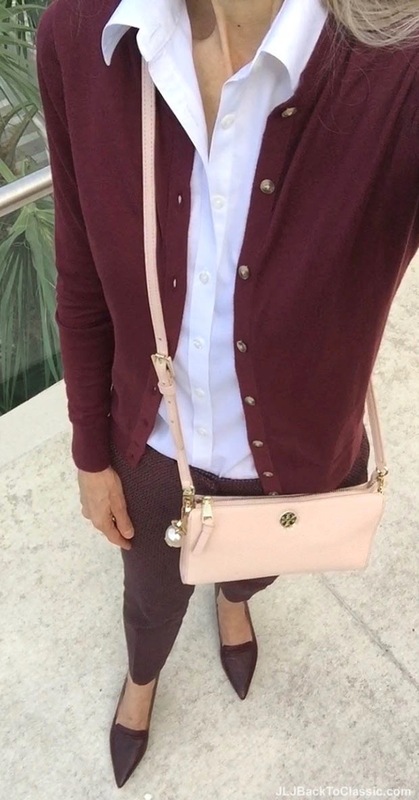 (ABOVE) Ann Taylor Ann Cardigan in Burgundy (Similar Talbots, Ann Taylor). All Talbots items are on sale (for a limited time). 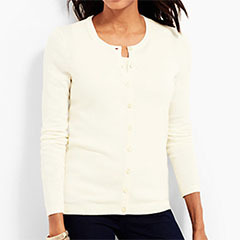 (ABOVE) Talbots Cotton Cardigan, Wildberry (Other Colors, Patterns Available). 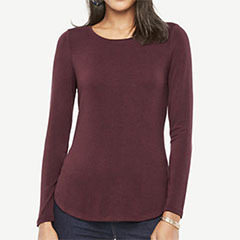 All regular-price Talbots sweaters are 40 percent off (for a limited time). 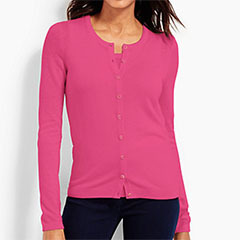 (ABOVE) Talbots Ruffle-Front Shell, Wildberry (Other Colors Available). (ABOVE) Ann Taylor Chevron-Pattern Cardigan, Vino (Other Colors Available). 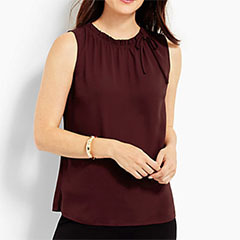 (ABOVE) Ann Taylor Jersey Top, Vino (Also in Black). 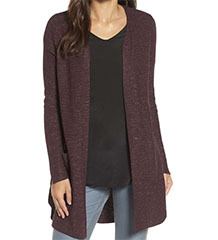 (ABOVE) Nic+Zoe Long Cardigan, Wine (Other Colors Available). (ABOVE) Talbots Cotton Cardigan and Matching Sweater Shell, c/o (Other Colors, Patterns Available). 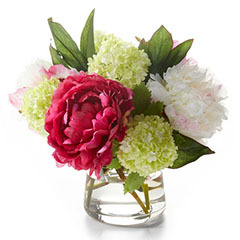 All Talbots items are on sale (for a limited time). Matching sweater sets are wonderful, because I don’t have to think. They’re already coordinated! The set above is new this season, and the pastel blue one below is from several years ago. Both were from Talbots and new colors are out this season. For the blog post featuring the cardigan above, click here; for the the blog post featuring the cardigan set below, click here. (ABOVE) Talbots Cotton Cardigan and Matching Sweater Shell (Other Colors, Patterns Available). (ABOVE) Ann Taylor Ankle Pant, Black, 25″, 27″, or 31″ Inseam–I”m Wearing 27″ (Similar Halogen, J. Crew, Talbots; More Black Slim-Leg Pants Nordstrom. (BELOW) Talbots Wide-Leg Pant, Black, c/o, 26″ or 22 1/2″ Inseam—I’m Wearing 26″. (Also in Donegal Tweed; Similar Brooks Brothers; More Black Wide-Leg Pants Nordstrom). These pants are so different in fit and style that I decided to get them both. Because they’re black, they go with anything. Either pant can be dressed up or down, worn with flats or heels. What’s more, they’re made of a no-wool seasonless material that works year-round in all climates. Both have belt loops and are available in at least two different lengths. These, the 26″ length, hit at the ankle, showing the narrowest part of my leg. I think that’s so flattering. Plus, I don’t have to worry about my shoe height, because any height of heel works with ankle-length pants! (ABOVE) Halogen Ankle Pant, Black (24″, 26″ Inseam; 4 Colors Available). (ABOVE) J. Crew Ankle Pant, Black (24″, 26″ Inseam; 5 Colors Available). (ABOVE) Ann Taylor Ankle Pant, Black (25″, 27″, or 31″ Inseam–I”m Wearing 27″; 4 Colors Available). (ABOVE) Talbots Ankle Pant, Black (26 1/2″ or 29″ Inseam; 6 Colors Available). (ABOVE) Talbots Wide-Leg Pant, Black (22 1/2′ or 26″ Inseam–I’m Wearing 26″; 2 Colors Available). 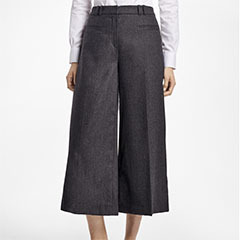 (ABOVE) Talbots Wide-Leg Pant, Donegal Tweed (22 1/2′ or 26″ Inseam–I’m Wearing 26″). (ABOVE) Brooks Brothers Wool-Blend Flannel Culottes (25′ Inseam–I’m Wearing 26″). (ABOVE & BELOW) Ann Taylor Ankle Pant, Black, 25″, 27″, or 31″ Inseam–I”m Wearing 27″ (Similar Halogen, J. Crew, Talbots; More Black Slim-Leg Pants Nordstrom. Also shown: Isaac Mizrahi Long-Sleeve Tee (7 Colors Available); Ann Taylor Ann Cardigan in Burgundy (Similar Talbots, Ann Taylor); Tahari Black Slingback Pump (Similar Sam Edelman, Schutz, Naturalizer); Fendi Quilted Shoulder Bag (Similar Fendi, Marc Jacobs, Rebecca Minkoff,); Black Belt With Black Buckle (Similar Rebecca Minkoff; Alternative Black Bow Belts Halogen and Kate Spade Here, Here) , Talbots Enamel Bangle. (ABOVE & BELOW) Talbots Wide-Leg Pant, Black, 26″ or 22 1/2″ Inseam, c/o (Also in Donegal Tweed; Similar Brooks Brothers; More Black Wide Leg Pants Nordstrom). Also shown: Talbots White Button-Up Shirt, c/o (Other Colors, Patterns Available); Talbots Cardigan, c/o (Also Animal Print, Classic Argyle; Similar Halogen, Ann Taylor, J. Crew); Alternative Statement Necklace Nordstrom Here, Here; Similar Tortoise Cuff Talbots, Nordstrom, Bronzo Italia Initial Bracelet, Alternative Bag Talbots here, here or Nordstrom, Rebecca Minkoff; Gigi New York); Similar Pumps Sam Edelman,Talbots; More Leopard-Print Here, Here. All Talbots items are on sale (for a limited time). (ABOVE & BELOW) Talbots White Button-Up Shirt, c/o (Other Colors, Patterns Available). All Talbots items are on sale (for a limited time). I love a plain white cotton button-up shirt, because it’s perfect for layering under sweaters and jackets all year long. 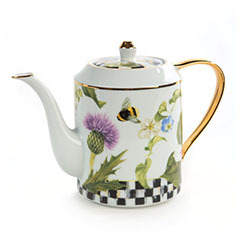 This one from Talbots is my second. (I wear my other white shirt from J. Crew so much that I wanted a backup.) This shirt has a smaller width collar, so it easily stands up on its own. Love that! 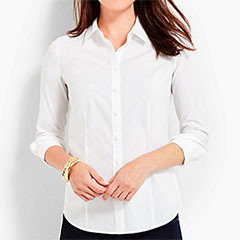 (ABOVE) Talbots White Button-Up Shirt (Other Colors, Patterns Available). (ABOVE) J. Crew White Button-Up Shirt. (ABOVE & BELOW) Premise Studio Seasonless-Fabric Black Blazer (Similar Vince Camuto, Talbots or Ann Taylor Here, Here; More Black Blazers TJMaxx or Nordstrom). I’ve had a black wool blazer for years, but I haven’t been able to wear it as much as I like because of our warmer winters lately. I found this Premise Studio blazer at Marshall’s, and love the seasonless fabric, because it doesn’t have any wool in it. A black blazer is such a corp classic piece. It works just as well with jeans, chinos or shorts and loafers as it does with black cigarette pants, a silk camisole, and black high-heel sandals. Or, pair it with a pencil skirt and pumps and it’s a great look for the office. (ABOVE) Vince Camuto Seasonless Single-Button Blazer. (ABOVE) Talbots Seasonless Luxe Knit Single-Button Blazer, Black. (ABOVE) Ann Taylor Seasonless Stretch One-Button Blazer, Black. 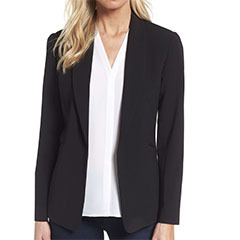 (ABOVE) Ann Taylor Seasonless Stretch Two-Button Blazer, Black. (ABOVE & BELOW) Ann Taylor Chino Shorts (Similar Land’s End). I wasn’t sure if there was a difference between khaki and chino shorts or pants, so I decided to Google it (I LOVE Google!). Not all retailers follow this rule, but for the most part, I found that chino shorts or pants are a lighter weight, slimmer fit, dressier cotton or cotton blend. Khakis are a heavier weight, less fitted, and more casual cotton pant or short. I like to wear shorts throughout the fall here. In the 9″ or longer lengths, they have a masculine, preppy feel to them–a classic Bermuda/collegiate style that I think is fun–and they look great worn with puffer vests and jackets and crewneck sweaters. If you’re up north in much colder weather, but you’d still like to create a version of this outfit, you can switch out the chino shorts for chino pants. 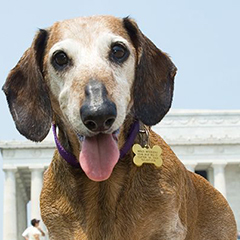 To see those I found on line, scroll down the page. (BELOW) Premise Studio Seasonless-Fabric Black Blazer (Similar Vince Camuto, Talbots or Ann Taylor Here, Here; More Black Blazers TJMaxx or Nordstrom) / Talbots White Button-Up Shirt / Ann Taylor Chino Shorts (Similar Land’s End) / Coach Driving Moccasins, Available in a LImited Number of Sizes (Similar Born, Land’s End, Patricia Green) / Tory Burch Bag / Tory Burch Frances Satchel (Similar Nordstrom, TXMax). (ABOVE) Land’s End Plain-Front Chino Shorts, Black (Other Colors Available). 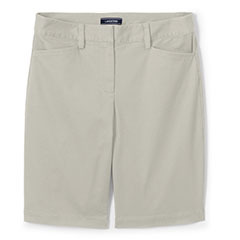 (ABOVE) Land’s End Plain-Front Chino Shorts, Khaki (Other Colors Available). (ABOVE) Land’s End 10″ Chino Shorts, Deep Sea (Other Colors Available). (ABOVE) Land’s End 10″ Chino Shorts, Khaki Gray (Other Colors Available). (ABOVE) Talbots Cotton Pant, British Khaki (28 1/2″, 31″, or 34″ Inseam). (ABOVE) J. Crew Cotton Pant, Golden Brandy (28″, 30″, or 33″ Inseam). (ABOVE) Ann Taylor Cotton Pant, Camel (24 1/2″, 26 1/2″, or 29 1/2″ Inseam). 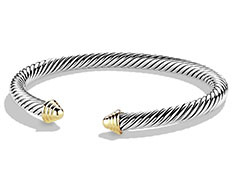 (ABOVE) JAI By John Hardy 21.4g Sterling Silver Round Box Chain Bracelet. This bracelet is on advance order. In fact, it has been so popular, this is their third advance order. I love how substantial it looks, and also that the box links are rounded, rather than the traditional square. I think it looks softer and more feminine. Can’t wait to receive it! (ABOVE & BELOW) Lagos Sterling Silver and 18k Gold Bracelet and Three-Diamond Ring. I didn’t talk about it, but the Lagos Ring I wore in the video is still available. The bracelet isn’t, but the Lagos Caviar Icon Bracelet I’m wearing in the above photograph is–did I ever mention how challenging it is to photograph my own hand?–and it’s similar in feeling. I like wearing both bracelets alone, and also stacked with other silver bracelets. As much as I enjoy wearing bold, statement jewelry, I often gravitate to understated and delicate, feminine pieces like these, too. 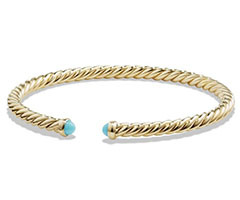 (ABOVE & BELOW) Lagos Sterling Silver and 18k Gold Bracelet. 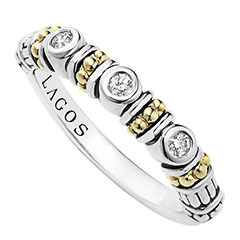 (ABOVE) Lagos Sterling Silver and 18k Gold Three-Diamond Ring. (ABOVE & BELOW) 100 Percent Pure Fruit Pigmented Eyeshadow, Fig and Hemp Organics-Colorganics Lipstick, Ruby. 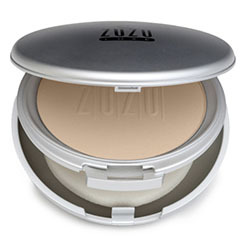 This eyeshadow can be applied to look very dark or soft, depending on how much you use. If you wet it, it can be made even more dramatic. 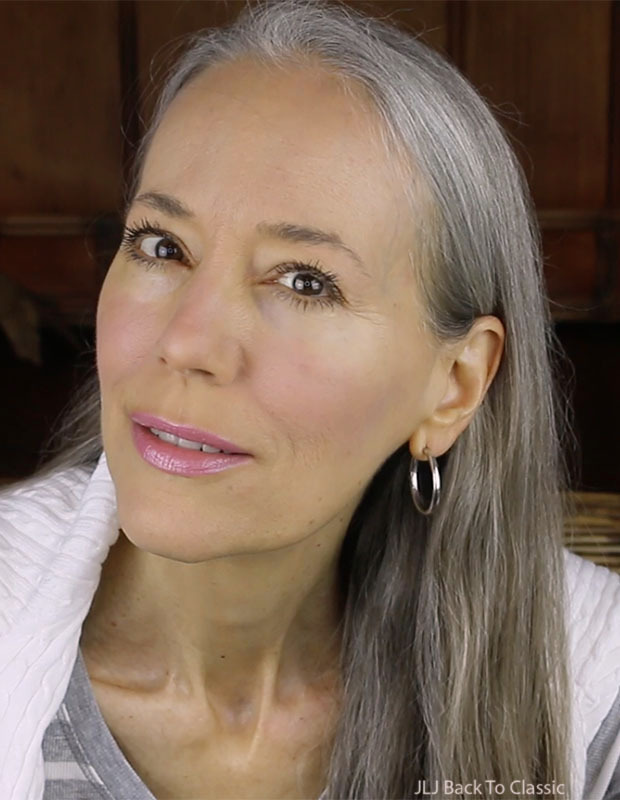 I swept it all over my lid with the Eco Tools “Eye Shading” brush and under my lower lashes with the Eco Tools “Smudge” brush, both from EcoTools Cruelty-Free Six-Piece Eye Set. I used my powder foundation underneath as a primer. The finish is a soft satiny look, which looks matte in daylight but slightly shimmers in candlelight, which I like. 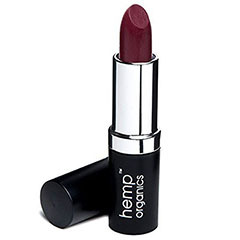 What I like about Hemp Organics lipsticks is that the base is 99.5 percent organic, to which they add color pigments. 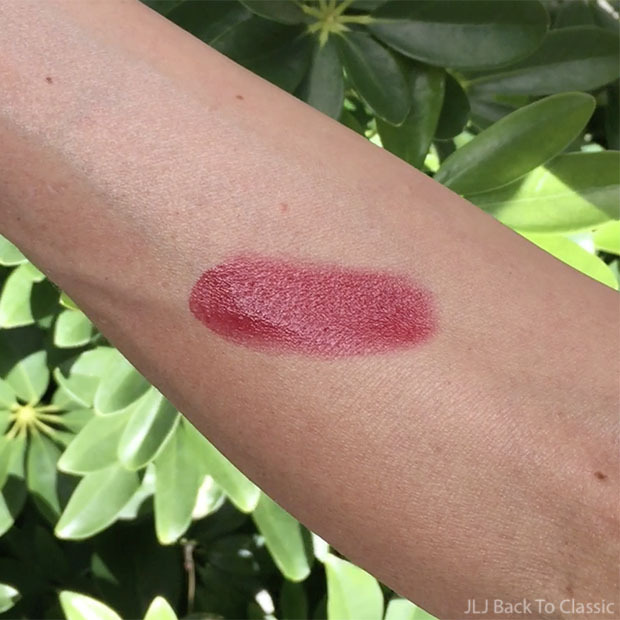 This lip color is a gorgeous, deep wine tone of red. It, too, can be made less dark by using shea butter underneath, but I wanted a more dramatic look, so . I used just a tiny bit of shea butter. 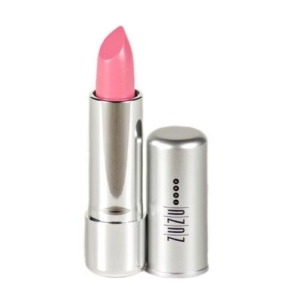 The lip color is fairly long lasting, although not as much as a stain. It is less drying than a stain, however. It is somewhat moisturizing, but since I have dry lips I like to make it more moisturizing by adding shea butter. 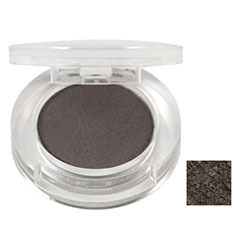 (ABOVE) 100 Percent Pure Fruit Pigmented Eyeshadow, Fig. (BELOW) Hemp Organics-Colorganics Lipstick, Ruby. Hello Janis it seems a while since you have compiled a video favourites,and I loved this latest. The burgundy and black outfit was simple yet so classy, sometimes less is more and you carry it off so well. The blazer and shorts look fabulous on you and I think the outfit works because you are tall and slim and again this looks so classy. Your make up was lovely too. Well here in Wales it’s cold miserable and damp today, I like autumn to be frosty, and crisp and dry oh yes and sunny! I hope you compile a Christmas video for us and it seems ages since you have done a shopping and lunch blog..Gosh Christmas is only about 6 weeks away where has this year gone. It’s been awhile, I know, but just having family coming and going since the end of September and now I’m having more for the holidays. Anyways, I couldn’t start my holidays without taking a moment to wish you and your family a very happy and safe Thanksgiving. Hopefully everything is going to be good and I will be back to watch your videos soon.